May 10, 2018 - Wildebeest are commonly known to be easily picked off by lions on the hunt. But that doesn’t mean they won’t try to escape. 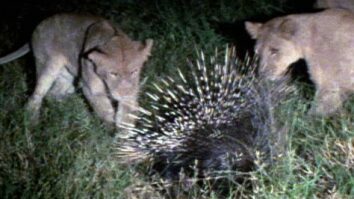 According to National Geographic Explorer Craig Packer, the two lions may be too young to have mastered the finer arts of hunting. The lion that was stuck on the horns appears not to know how to bite down correctly. 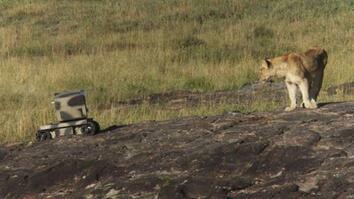 The other wasn’t strong enough to hold the wildebeest down. Then again, the wildebeest is very large and strong. 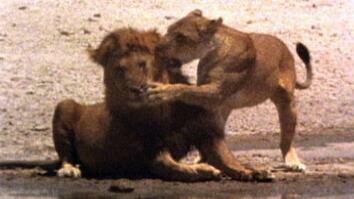 What seemed like a secure meal goes all wrong for the two lions. For all the animals involved, they left with one valuable resource: Experience.